The BS06 Sound Level Meter to determine the volume, whether home or away. 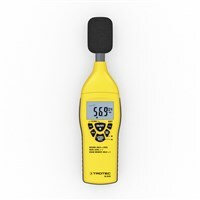 With the sound level meter of Trotec, you can measure various noise sources within a range of 30 - 130 dB notice. 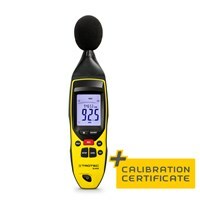 The sound level meter are used in office, at leisure, at machine controls, in private homes, on site, at the disco and more. The meters detect - by using the integrated ambient light sensor - bad lighting conditions automatically and automatically turn on the backlight.